"Our wonderful medical students are preparing to start their first clinical rotations. 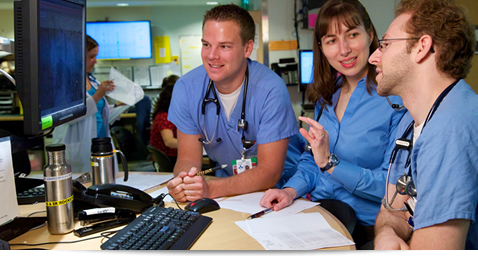 With this in mind here are some of the top tips for success in your EM rotation.."
Be On Time – show up to your shifts on time, better yet 5 minutes early. That first impression is immensely important. Introduce yourself to the team - “Hi my name is John Doe, I am the medical student on shift today” introduce yourself to the attending, residents, nurses, etc. You will be called on a lot more to help when there is something interesting going on if they know your name. Be goal-oriented – have a goal for each shift, whether it’s a procedure or a type of presentation to see. Don’t just stand there, do nothing – there are times in medicine when the best thing to do is nothing. Be very aware of what your staff is doing in certain situations and ordering tests that are appropriate for the ED. Read – read around one case you saw each shift. Never Lie – if you didn’t ask it, if you didn’t examine it, that’s ok. Not knowing is by far the better alternative to a lie. Lions, Tigers and Bears!! – When developing a differential diagnoses do not think of Zebras first, think of the life/limb threatening emergencies. Disposition – as soon as you can, consider where the patient is headed: Home vs. Hospital vs. Heaven. See every type of patient – do not Cherry Pick, on occasion it is acceptable (see #3) but you will not get the most out of your rotation by avoiding cases. Ask Questions – remember there is an art and science to the practice of medicine, learn about both while you are on shift. Staying late can be great (in small amounts) – although EM is shift work there are many learning opportunities that can arise at the end of your shift, don’t miss out! !